Gary Kirsten admitted that it is a "little bit concerning" that seamer Vernon Philander will head straight into two months of county cricket after a busy season. Philander played in seven of the eight Tests South Africa contested this season and turned out in all formats for his franchise, the Cobras. He will not have a break until the end of May, a month before South Africa's tour to England. Kirsten said despite the packed schedule, Philander must honour his contract with Somerset because he agreed to it before he became a nationally contracted player. Kirsten was consulted about the decision and encouraged Philander to accept Somerset offer because of the experience it would allow him to gain. "That decision was made during the first Test against Australia in November," Kirsten said. "Philander asked me my opinion and I said I didn't think it will be a bad idea to get used to the bowling conditions there. I don't think anyone would have thought that he would play seven Tests and get 50 wickets and really play a major part and bowl a lot of overs for us." 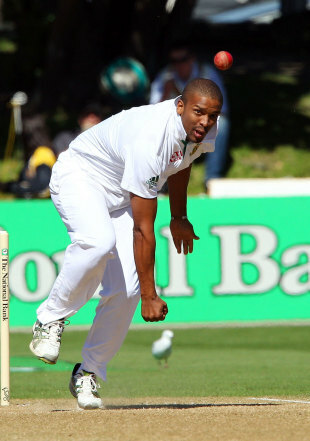 Philander stunned the international stage with his consistent wicket-taking and was awarded a CSA contract in January, which comes into effect on April 1. Philander's Somerset contract was subject to conditions relating to whether he was able to secure an IPL deal. When he went unsold in the February auction, Philander's agreement with Somerset kicked in. He will play eight matches starting on April 5, when they host Middlesex in their first Championship match. Kirsten said it is vital Philander sees out his contract but hopes CSA can work with Somerset to ensure he is not overworked or burnt out. "He wasn't under CSA contract when he signed the Somerset contract. He needs to honour his contract, that's important. But we would like to create a relationship with them and say these are our needs going forward in terms of the Test series," Kirsten said. "What's important for me is that he has a window period, a conditioning period. We would like to create that. We will chat to Somerset and see where they are on it and hopefully we can get a significant conditioning period. As it stands at the moment he is due to comeback at the end of May." County seasons are known to be gruelling on most and South Africans have sometimes struggled to keep up. Dale Steyn was one of the bowlers who had a tough time adjusting during his 2005 stint at Essex and Lonwabo Tsotsobe also battled in his time at the same county last season. Kirsten said Somerset have promised to be accommodating with Philander but even if they are not, he should have ample rest. "They've been quite good about it already. They've said we are not going to overuse him but I know how the county circuit works. There's no such thing as overuse when you've got a game on the line," Kirsten said. "He has got a month off when he gets back and then we go to England so it's a decent break." Philander's England experience is being eagerly anticipated after his explosive start in Test cricket. He is level as the second-fastest bowler to 50 Test wickets, achieving the feat in just seven matches. Although not expressly quick, Philander has shown the worth of being a crafty bowler and has gone from rookie to being the leader of the South African attack in a short space of time. The secret to Philander's success seems to be nothing more complicated than rewards for discipline and skill and a testament to the work he put in at domestic level. "He is very consistent, he has got good control and gets subtle movement of the ball both ways,"
Kirsten explained. "He bowls very accurately and has got enough pace. He knows what he is doing with the ball and he has got a great, very simple bowling technique. But, more importantly, he has got the mental capability to make big plays when we need him to make big plays and that is very exciting. It's very exciting that we have those types of individuals. We tried him out this summer and look at the summer he had."